Does Beauty Matter in Behavior Change? The use of motivational textual messages is a popular strategy for encouraging behavior change. Social media platforms, such as Instagram, have afforded tailored visual presentations of the text of such messages, that range in style, by exploring color, illustration, photography, or typography. 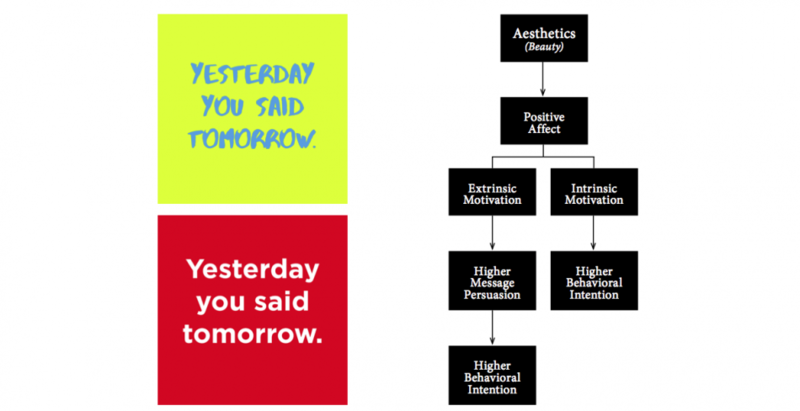 Following the fact that different text aesthetics can invoke different perceptions about what is written, we suggest that perceived beauty coming from the presentation of textual messages can increase the appeal of changing behavior. Beauty should increase extrinsic and intrinsic motivation, as long as beauty elicits positive affect. In intrinsic, beauty should lead to a relatively enduring behavioral intention, whereas in extrinsic it should increase the intention temporarily. We present our initial hypotheses and an experimental study we plan to conduct. 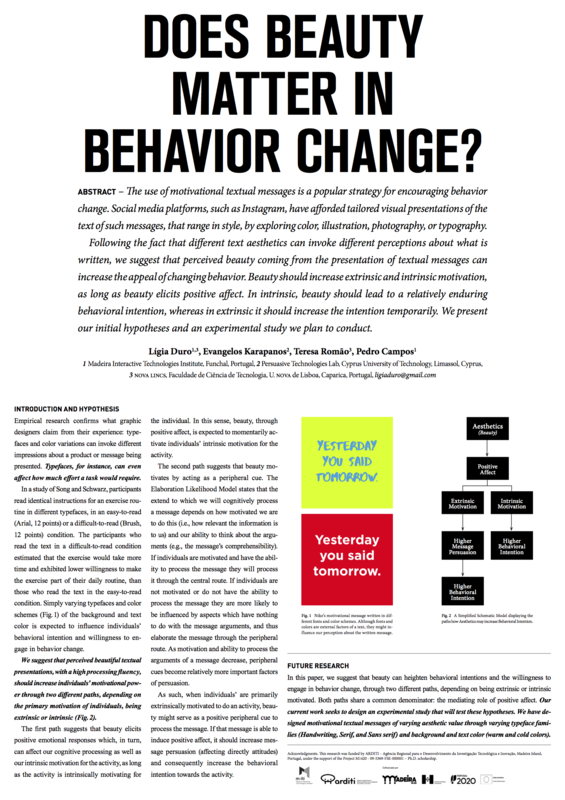 Duro, L., Karapanos, E.,Romão, T., Campos, P. (2017) Does Beauty Matter in Behavior Change?, In Adjunct Proceedings of Persuasive’17.